Emma Stone is hot on the promotion trail for her new film, The Amazing Spider-Man 2: Rise of Electro. At the movie’s Rome Premiere, she went high-fashion in an embellished tie-neck blouse and a geometric print lurex maxi skirt from Valentino’s Pre-Fall 2014 collection. So chic! 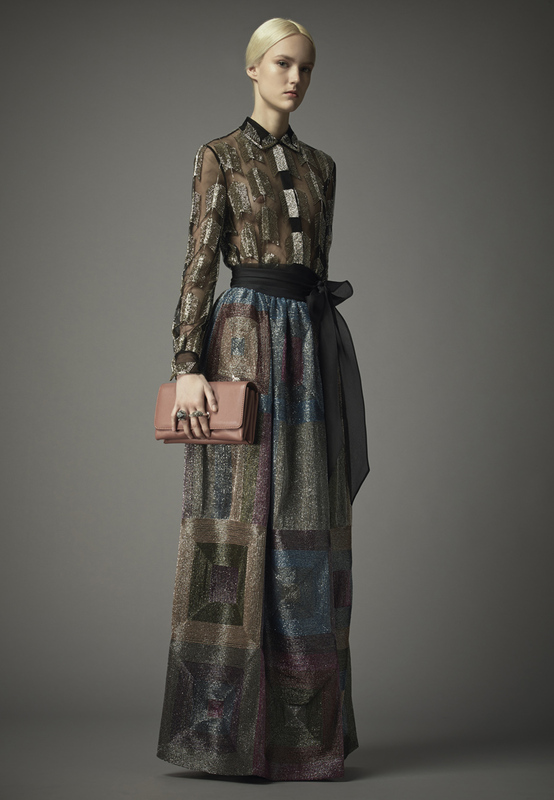 Visit www.valentino.com for more information and see Emma’s look from the Italian fashion house’s Pre-Fall 2014 collection below.